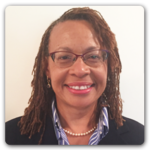 Leadership Bio: KarenLynn Bell | BCV Solutions, Inc.
KarenLynn Bell serves as BCV’s Chief Executive Officer and Executive-Level Program Manager, serving the company in her role as chief strategic officer and business executive. KarenLynn is responsible for expanding key business opportunities, identifying effective strategic partnerships and managing the firm’s customer-focused solutions and to underscore project success with superlative quality. As BCV’s co-owner, KarenLynn is experienced in working closely with the firm’s opportunity owners to keenly understand mission-critical technical and business requirements, provide executive leadership during the design and development of client-centric solutions and expand corporate capabilities aligned with enhancing customer value, mitigate risks and facilitate our customer’s successful progress toward energy efficiency and resiliency. Her broad technical experience in the fields of energy, environmental and systems engineering management, financial risk analysis and sustainability consulting for various types of customers and stakeholder engagements, ensures solutions implemented by BCV are effective, efficient and successful. Prior to co-founding BCV, KarenLynn held various positions in executive development and management within Connecticut-headquartered financial services corporations, and she was a Sr. Actuarial Consultant for PricewaterhouseCoopers, served as a Sr. Compliance Systems auditor for US Department of Labor, and as a Sr. Systems Engineer (Enterprise Information Systems) and a Sr. Technical Solutions Manager (Global e-Commerce Solutions) at Lockheed Martin headquarters, and IBM Corporation, respectively. KarenLynn holds a B.A. in Economics and International Business from the George Washington University, graduate coursework in Finance, and certifications in Digital Technical Integration (DHTI+), Microsoft Systems Engineering and INFOSEC technologies. KarenLynn has course completions toward the Certified Energy Manager (CEM), the Business Continuity Professional (CBCP), and the Project Management Professional (PMP) industry professional standards. She is also a graduate of minority entrepreneurial education at the Graduate Tuck School of Business at Dartmouth University. Additionally, KarenLynn is a member of the Air and Climate Public Advisory Committee for the Metropolitan Washington Council of Governments.